HyperText Markup Language (HTML) is the bones of what goes into constructing a web page. While many websites today can be made from preset templates, it still behooves a website administrator to know basic HTML so they can edit templates or even make their own from scratch. If you're wondering how to get started doing basic HTML, don't fret: the following are some simple ways to learn how. Teach yourself using online tutorials. Many of the great website designers of today got started by teaching themselves how to do HTML off various tutorials. If you're a hands on type of person, then this is a good way for you to learn and it's free. Many of the old websites are still around today. The best thing is that the basics of HTML have changed very little over the years, so older tutorial websites are still fairly relevant. Take a course, either online or offline. 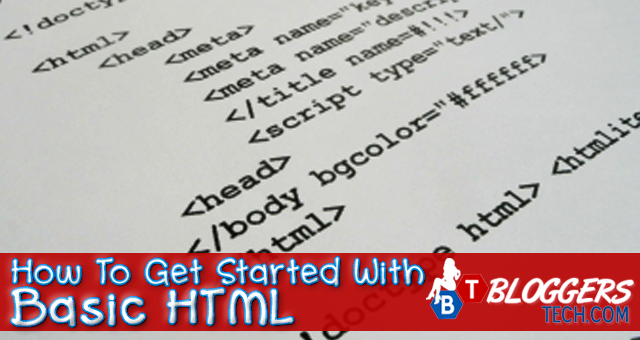 Many technical colleges now offer courses in HTML, and there are credible online courses you can take for a small fee. These courses will give you lessons and then ask you to try the designs out for yourself. An added bonus is that you can ask your instructor questions and get answers right away, as opposed to posting on websites and hoping someone comes along to answer. Read books. If you're not a visual learner, then memorizing codes from a book may be for you. There are Dummies' style books out there that will teach you HTML through on-paper examples. The downside of this is that you can't see them in practice. It's recommended that you use books in tandem with fooling around with code on the internet. Get a mentor. Sometimes the best way to learn something is to get a mentor to guide you along the way. Find someone willing to show you the ropes of putting together a website and shadow them thoroughly. Not only will you get their invaluable expertise, but you'll also get the chance to work on a lot of your own coding along the way. The basic HTML is not hard to learn. With some practice, a keen sense of observation, and a lot of patience, you too can soon be churning out your own websites with ease and professionalism. If you only want to work with templates, you can use your HTML knowledge to tweak the templates until they fit your site perfectly. Any person looking to work with websites should learn at least a little HTML to get them started. I've promised since I started this blog that I'll try my best to share with everyone some tutorials and the Basic HTML is one of the things I want to share with everyone the Bloggers Tech blog. Hopefully, before this month of June will end or on the month of July, I'll be able to find some time to do a short tutorial of the first set of basics I want to share with everyone here. So stay tuned!